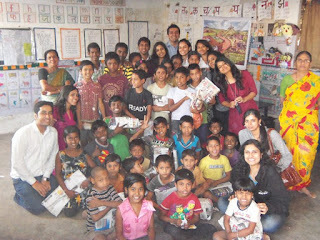 Toybankers from N.L Dalmia (E-Cell) had a fantastic time with the kids at mobile creche at Mira Road. Toybank volunteers Nidhi and Madhvi initiated a Toy Collection drive at Dalmia college for a while, and the students of Dalmia collected awesome toys for Toybank. We then had an amazing event with the children at the Mumbai Mobile Creche in Mira Road, where we shared some kids stories and played games like organes are lemon and ringaringa roses, which we often played in our childhood. The elder children were engaged in a set of fun filled games by our Toybankers. 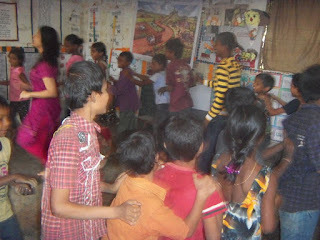 At the end, we distributed toys to every child at the centre. 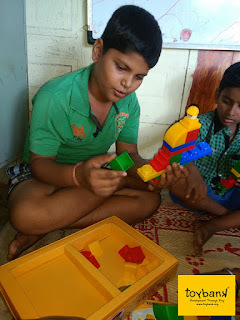 "In the last week of 2011, just as the year was coming to a close.. a few of us from the Entrepreneurship Cell and N.L.Dalmia Institute of Management Studies and Research who had collaborated with Toybank paid a visit to a NGO in Mira Road. The NGO was for the children of the construction site workers who lived there. The enthusiasm the children showed while playing games, singing songs and dancing was unforgettable..At the end of it all... we wanted more time to see their smiling excited faces. Distributing the toys and hearing about their ambitions was touching to say the least. We had a great afternoon with the kids and continue to wonder how much we take for granted. 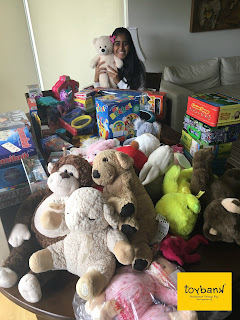 Thank you Toybank for such a fulfilling experience!" Volunteer of the month - January 2012! Get ready to become a kid again! 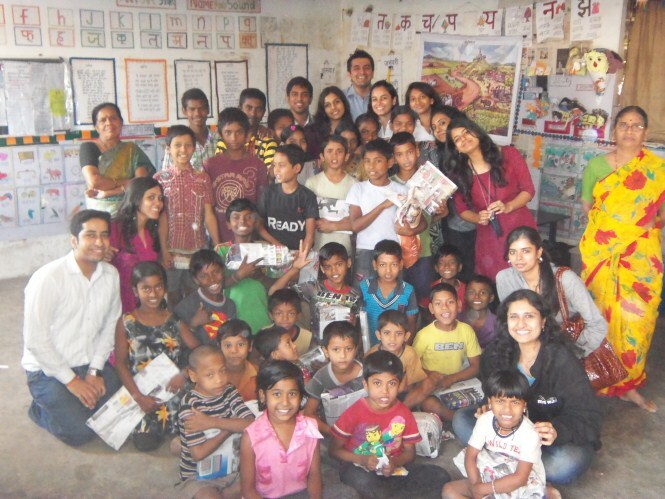 Toybankers spend time with kids at Prerana!